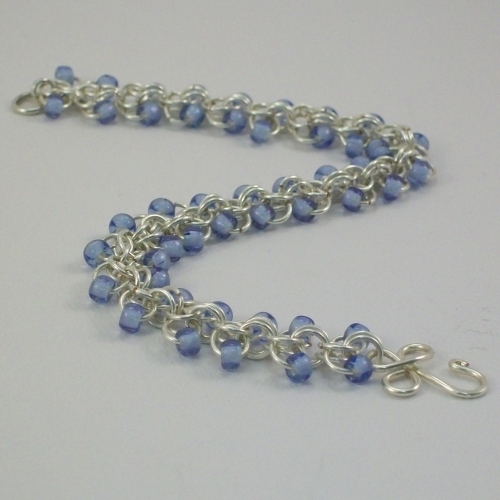 A beautiful bracelet of a double linked chain with pale blue seed beads, each suspended on a single link along the sides, giving the bracelet a lovely fluid motion with each movement of the hand. Finished with a handmade and hammered hook fastening. 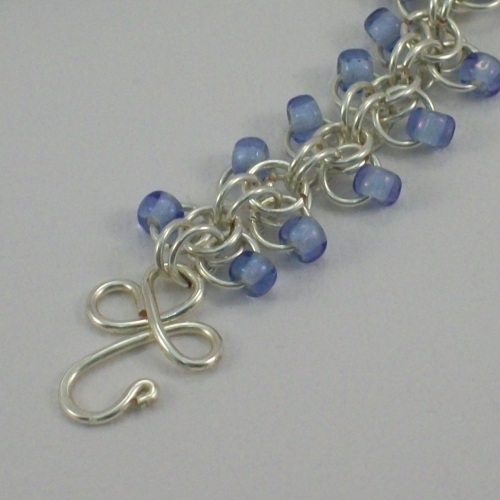 Each link has been hand shaped, cut and filed by hand, using 0.71mm (21 awg) anti-tarnish silver plated wire. 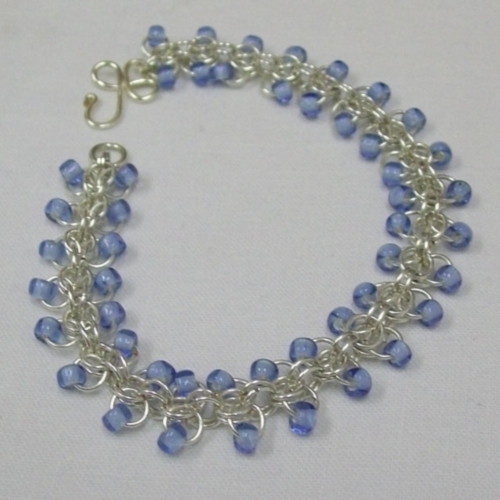 The bracelet measues 7.5" in length. 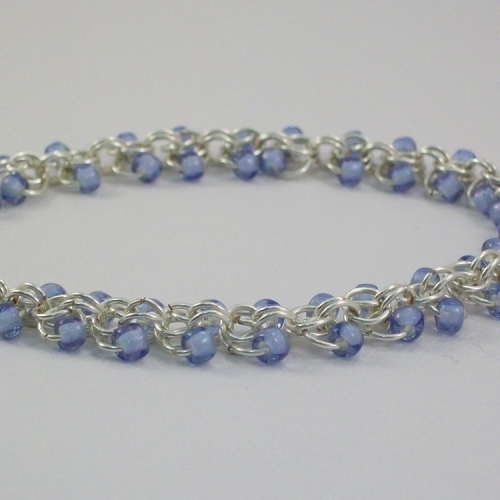 This bracelet can be made to custom order in a variety of colours. Please contact for more details.